The offerings at Orchard Hill Cider. All photos by Daniel Schwartz. 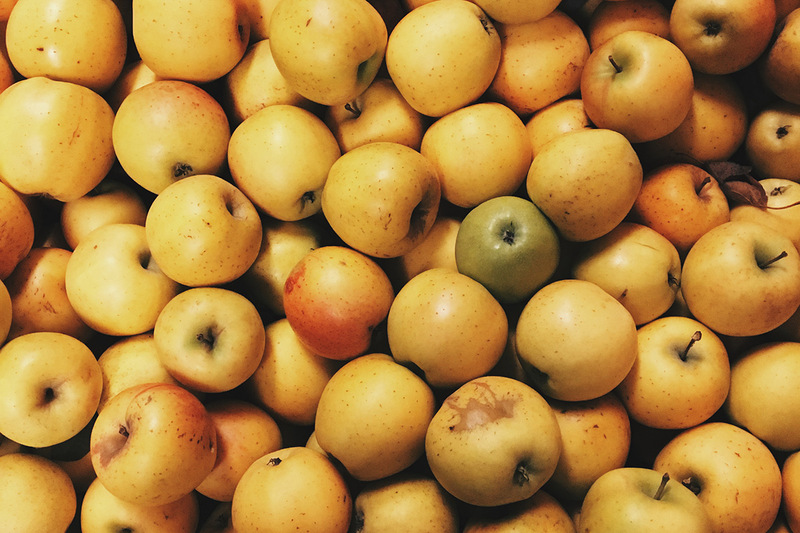 Popupla's Daniel Schwartz traveled to the Hudson Valley and Finger Lakes regions of New York to learn more about hard cider, the next craft beverage craze to hit the Big Apple. NEW YORK – Why do wine and beer get all the love on drinks menus? What about hard cider, that neglected carbonated wonder too often dismissed as beer for non-drinkers? For starters, hard cider is not always carbonated. Furthermore, the noble drink gets plenty of attention in Europe and Australia. And as it turns out, New York, the second largest producer of apples in the United States, also brews some of the best hard cider in the country. Except not many people know about it. On a recent tour of the Hudson Valley and the Finger Lakes, I found out why. In three days, I had the kind of cultural drinking experience that has long required a passport but is now easily accessible in a day or a weekend from New York City. Cider production at Warwick Valley Winery and Distillery. 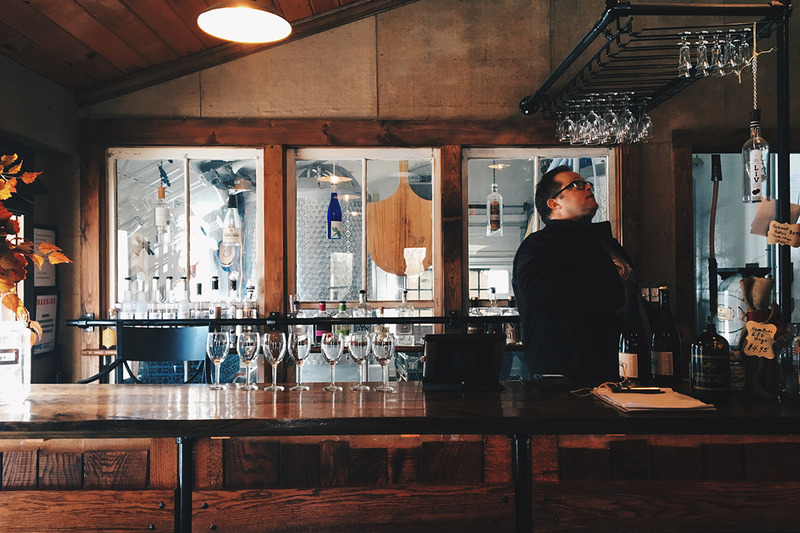 The tasting room at Orchard Hill Cider. 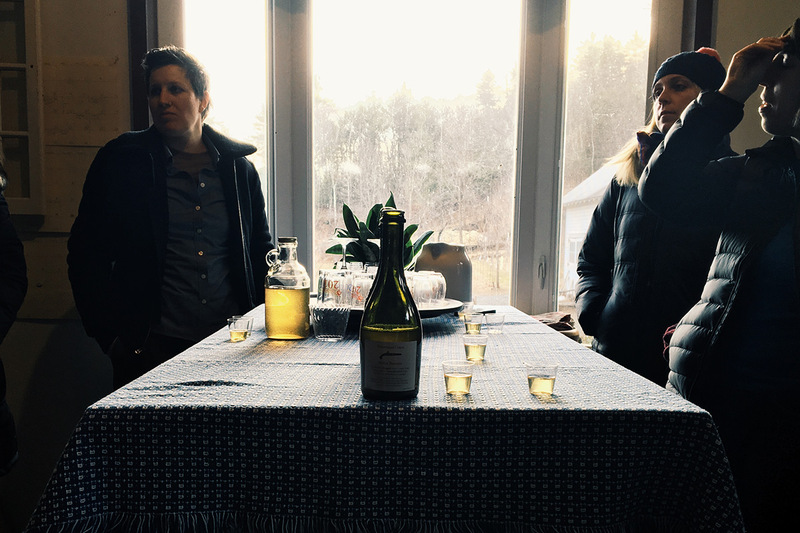 Our tour was organized by New York Cider Association (the state's first trade group for cider producers) and designed to introduce media and industry to New York's bourgeoning cider scene. We spent a day in the farms of the Hudson Valley, followed by two days in the orchards of the Finger Lakes. I should note that until this weekend, my only experience with high-brow cider had been a pungent pint made by monks in barrels in the caves of southern France. It smelled like cheese, and I didn't finish it. 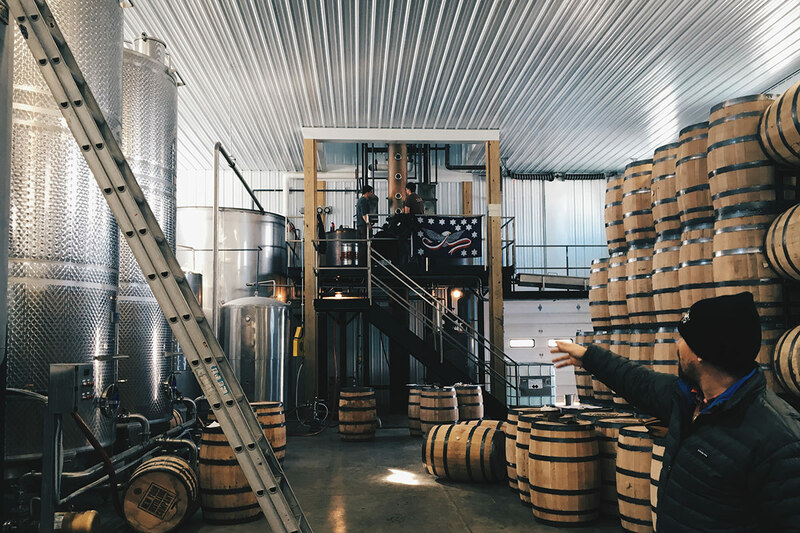 My crash course began in the Hudson Valley at , the production site of Doc's Draft Hard Cider, where I found out that bearded lads with tattoos aren't just brewing our beer — they're making hard cider, applejack, and fortified fruit wine, too. Over fried chicken at , I learned that hard cider was once the most popular drink in America (more on that later). And from an al fresco lesson at , I discovered that wild apple seeds naturally produce not one but many varieties of the fruit. Those were the highlights. 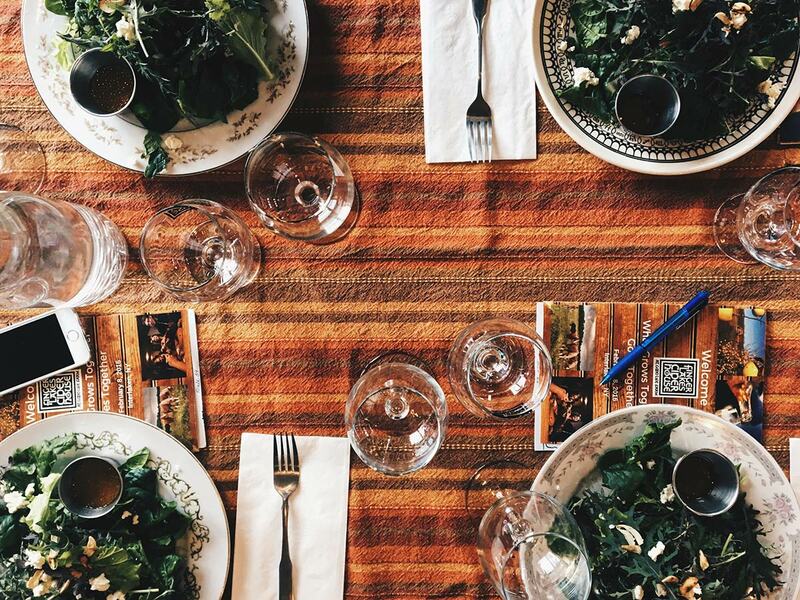 As it was, the eight-hour booze cruise was a whirlwind of information that flew high over my head until our conclusory dinner at , the agricultural non-profit spearheading the farming renaissance in the Hudson Valley. Joining our crew were cider makers from , , and , who poured and paired their products with a meal prepared by visiting chef Evan Hanczor of Egg in Williamsburg. Over drinks and conversation, a few things came into focus. First, cider pairs well with food. Like, really well. Everything served at dinner was accentuated by what we were drinking — a refreshing but complex cocktail of tannin and acid with notes reminiscent of wine and feel similar to beer. Even dessert was made better from a pairing with a standout cider brewed with lavender from Awestruck. Other pours tasted of champagne, hops, or tart apple, but all could and should be enjoyed by the beach or with the most elaborate charcuterie board. This isn't news for those with dining experience in Europe, but for those stuck state-side who are curious about the drink, it's hard to find restaurants and bars with good cider lists. And that's partially due to public misconception. The dominance of mass-produced brands like Angry Orchard means many Americans, myself included, assume thatl cider is sweet and simple in flavor, a gluten-free alternative to drink when beer and wine would be too heavy. It's what your friend who hates alcohol drinks when they want to get tipsy. Who wants that with dinner? While small-batch cider tastes nothing like its big-money counterpart, its rebranding is the biggest challenge for the hard cider community, a vibrant and hard-working group of farmers and brewers and drinking enthusiasts committed to getting their favorite beverage the recognition it deserves. After all, their product shares the same principles that fuel the growth of other popular goods — a commitment to craft, an emphasis on sustainability, and a steady stance on quality. They're as much a part of the food revolution as craft beer and kombucha. They just got a late start. Thirsty Colonial settlers found crabapples growing wildley, and were no doubt delighted that the cider-variety apples they had brought with them from England took nicely their new soil. Which makes cider the longest-brewed and most popular drink throughout most of our country's history, made by everyone from farmers to founding fathers (think Johnny Appleseed and John Adams). Cider apples are not the apples we eat to keep the doctor away. Those apples are bred for flavor. If we ate cider apples, we'd all be very unhappy. They're tart and tannic and packed with unpleasant sugars necessary for fermentation. Brewing in the basement at Aaron Burr Cidery. A cider tasting at Aaron Burr Cidery. During Prohibition, many orchards were burned, and those that remained were forced to survive off restricted sweet apple stock. As the dry spell passed, orchardists were faced with the painstaking, long-term task of reconverting their fields back to cider apple crops. Ultimately, they could not compete with brewers, who had easy access to imported beer grains that followed the flow of immigrants from Central and Eastern Europe, and they fell off the radar. The absence of cider from the market is reflected in the regulation that governs it. Until recently, outdated federal law capped cider alcohol content at seven percent, below the natural range of eight to sixteen percent. 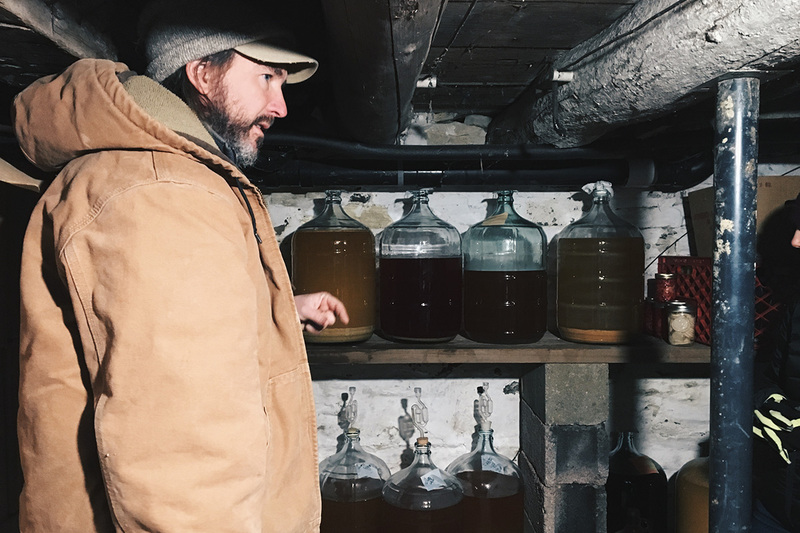 To comply with regulation, cideries have had to either halt fermentation prematurely or dilute their finished products with water and sugar, which compromised flavor and robbed cider of a strong identity. It fell victim to the "other beer" classification when it adhered to regulations and was branded as wine if it violated them. Talk about an identity crisis. 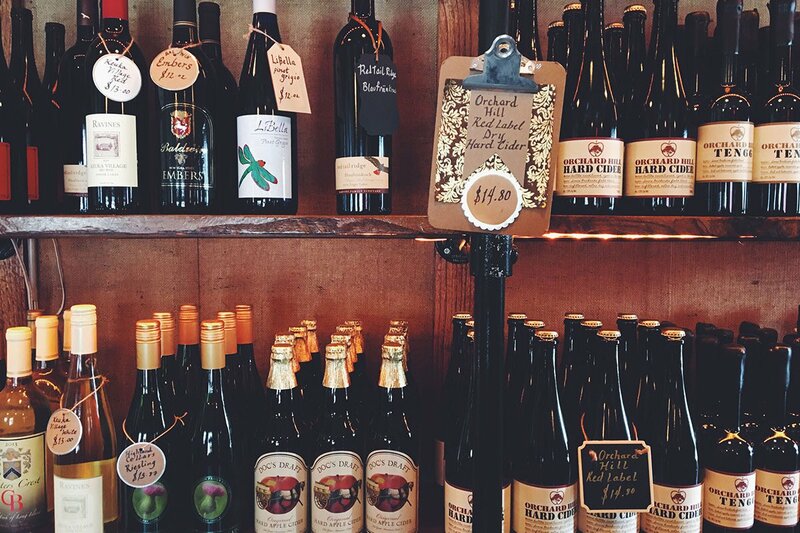 Good news: Cider, the kind you actually want to drink, is making a comeback in New York. Since 2011, the number of makers has jumped 360 percent from five to twenty three. Orchards are trying out new farming techniques to boost flavor, while others, like , are innovating by growing and distributing new varieties of apples conceived with DNA from protected gene banks at Cornell University. (The farm's owner is former faculty.) Businesses are also catching on, like in Manhattan, where most of the ciders mentioned in this story can be sampled, and by Seneca Lake, where the combination of drink and cheese plate was arguably the best I've ever had. This boom has long been in the making. Apple farmers fighting the price drag caused by heavy overseas apple imports have been pushing for new legislation that would facilitate the growth of the cider industry. And in 2013, they got it with the Farm Cideries Bill, which built off previous bills that have enabled the beer and spirits economy to skyrocket. It allows apple farms to produce cider on-site (before, production required a brewery or winery license), offers tax breaks for those using local apples, and raises the alcohol limit to 8.5 percent. The law also allows farm cideries to sell other New York State food and drink products in event spaces, effectively turning them into destinations for foodies. Cider apples from Black Diamond Farm. Looking down at lunch from Finger Lakes Cider House. I experienced this firsthand at , a repurposed barn located on in Interlaken, New York. The cider-for-foodies concept all came together in their spacious tasting room, where I tried house cider brewed in the cavern below, along with still and sparkling varieties from nearby , , and . Breaking up my buzz was delicious non-alcoholic ginger beer and a seasonal menu that highlighted local growers. As if I wasn't already hooked, there were views of dancing dogs that looked like sheep, calling cattle, and Lake Cayuga shining turquoise in the background. This is best done as a road trip. The Hudson Valley cideries are about two hours away. The Finger Lakes is a healthy four-and-a-half hour drive. If you don't have a designated driver, limit yourself to sips in the tasting rooms, and pack the trunk with ciders to drink at home.